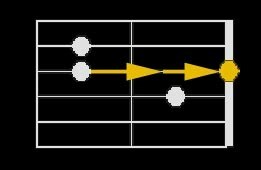 To get a 7th Chord, move the Middle Finger down 2-steps . Let's try A7, we will derive from A-chord, of course. At this point, pause and ponder. 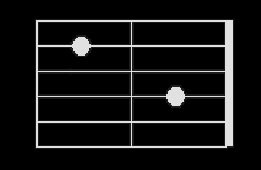 How many chords you can derive now? 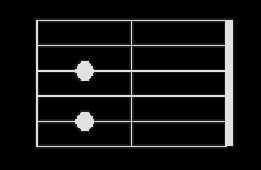 See how many of the listed chords you can figure out. HINT: Proceed one step at a time. Say A#m7: start from A, derive A#; from the A# position: derive minor(m) to get A#m; from A#m position: derive 7th to get A#m7.